Although all theft crimes are taken seriously by New Jersey law enforcement, special attention is often given to theft crimes that involve deceptive acts or deceptive words. 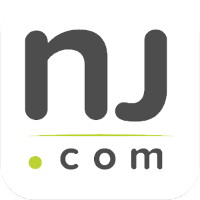 NJ prosecutors will not hesitate to seek maximum punishments for defendants who are accused of misrepresenting the law or the value of an item. 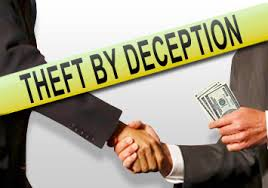 Examples of Theft by Deception include: a person who insincerely solicits funds for a charitable purpose; a contractor who fails to deliver on promises to perform work; and a gas station attendant who lies about how much gas is being pumped into a car. Regardless of the circumstances, it is imperative that you contact an attorney. The attorneys at the Tormey Law Firm represent clients accused of theft offenses in Bloomfield, Montclair, and everywhere else in Essex County, NJ. We understand the complexity of theft laws in New Jersey and we have a track record of success in these kinds of cases. We also have criminal defense background and experience that you can count on. The firm’s founding partner, Travis J. Tormey, previously worked for two of the largest and most well-respected law firms in New Jersey. Additionally, our litigation team includes a former county and municipal prosecutor who knows how the criminal justice system works inside and out. Call us today at 201-654-3464 to speak with an experienced criminal defense attorney and begin your defense. It does not matter if the person who was deceived should have known better. The law is meant to protect the most helpless individuals. That’s why an offender cannot trick an elderly person into sending them money and then claim that the elderly person did not act reasonably. All that matters is that the other person relied upon the offender’s words or actions. Additionally, keep in mind that you can be charged with Theft by Deception even if you did not explicitly communicate in the form of words or writing. That’s because failing to correct a false impression is also a violation of the law. An important requirement of the law is that the deception must pertain to a matter of pecuniary or financial significance. Merely boasting or exaggeration is not a violation of the law; the deception must have a tangible effect on a transaction and result in an economic gain or loss. Another requirement of the law is that the offender intended to deceive the other person. For example, you cannot solicit funds from another person for a particular item and then deliver a different item in return. However, if you lacked the requisite state of mind at the time of the transaction and actually intended to complete the transaction as agreed to, then it might be possible to contest the charges. The Tormey Law Firm has the experience and the knowledge needed to fight your Theft by Deception charges and help you avoid the most significant penalties. Call us now at 201-654-3464 to speak with a member of our litigation team, or email us to schedule a free consultation at our Newark office.